This territorial operating regulation or general terms of sale defines the conditions under which passengers use the vessels owned by the Territorial Community of Saint-Pierre et Miquelon and establishes the SPM Ferries’ contractual relationship with users. In this document, the terms “passenger” or “user” apply to the person whose name appears on the document of carriage. The term “SPM Ferries” means the trade name of vessels of the Territorial Community of Saint-Pierre and Miquelon and the service responsible for operating these vessels. By using the paid carriage services of the Territorial Community of Saint-Pierre and Miquelon, the passenger or shipper (person consigning an incoming parcel in the small cargo category on the SP/Miquelon, SP/Langlade services) covenants to accept these terms in full, especially the tariff terms, which determine the rights and obligations of passengers. Boarding implies the full application of all terms of carriage by SPM Ferries, specifically including the tariff terms. All passengers are deemed to have read the general terms of sale. These terms are posted on the www.spm-ferries.fr site and in SPM Ferries ticket offices of the Territorial Community of Saint-Pierre and Miquelon. The contract of carriage entered into by the Territorial Community of Saint-Pierre and Miquelon, represented by SPM Ferries, and the passenger creates no obligation in respect of proper carriage of the passenger. In all circumstances, the passenger acknowledges and agrees to comply with orders issued by operating personnel, both on the docks and aboard the vessels. Operating personnel may not be held liable for consequences, accidents or damage that result from non-compliance with the orders they have occasion to issue. Carriage provided on the vessels of Territorial Communities are subject to the Transportation Code, especially sections L5421-1 ff, and generally to this territorial regulation governing the operation of vessels of the Territorial Community of Saint-Pierre and Miquelon. They are also subject to Regulation (EC) No. 392/2009 of the European Parliament and the Council of April 23, 2009, on the liability of carriers of passengers by sea in the event of accident, and to Regulation (EU) No. 1177/2010 of the European Parliament and the Council of November 24, 2010, concerning the rights of passengers when travelling by sea and inland waterway. The provisions of these general terms of carriage are applicable if a replacement vessel is chartered by the Territorial Community from another ship outfitter. A one-way document of carriage is valid for departure from the originating marine terminal for passage to another marine terminal. A return document of carriage is valid for departure from the originating marine terminal for passage to another marine terminal and the return to the originating marine terminal. The originating marine terminal indicated on the document of carriage may not be changed. · Outbound and inbound or return document: A return document is personal and consists of a dual document of carriage issued at the start of travel, allowing a second passage in the reverse direction. This document of carriage may not be used as two independent one-way documents. · One-way document: A one-way document is personal and consists of a document of carriage for a single passage without return. · “Open” return document of carriage: A dual document of carriage issued at the start of travel, allowing a second passage in the reverse direction. This document of carriage may not be used for two separate one-way passages. At time of sale, the travel dates are not determined. Entry of the date on the document is free for a return passage. Any change beyond this incurs a fee. · Personal subscription card: A plastic-laminated personal subscription card with an identification photograph of the user may only be used by that person. This card is issued for a specified number of passages determined by the tariff. A document of carriage is issued for each one-way passage. Corporate subscription card: A corporate subscription card is issued in the name of a legal entity and may be used by employees of that entity (multi-users). However, for any given passage, the card may only be used by a single passenger. Therefore, a number of corporate cards equal to the number of employees travelling together on the same date will be required. Only passengers holding a document of carriage may report for boarding at the marine terminal. E-ticket on a smartphone or other electronic device, provided the barcode is readable. Passengers purchasing their passage online but with no device to display the document of carriage at time of boarding are required to report to the ticket office to obtain a printout of their document of carriage. Passengers holding a valid subscription card must be registered to be allowed to board the SPM Ferries vessel. Passengers holding a subscription card who have reserved their passage may report directly to the boarding gate upon presentation of their subscription card. Passengers must arrive at the terminal 30 minutes prior to departure to proceed to boarding for national and international service departing from Saint-Pierre. Departing from Fortune, passengers holding their document of carriage must arrive at the marine terminal one hour prior to departure. Subscription card fare, in personal or corporate card format, with number of passages determined by the tariff; may be reloaded as long as the card remains valid, with the number of passages based on the tariff in effect. Cost of port taxes collected by the Territorial Community of SPM and remitted to the port in Newfoundland. SPM Ferries adjusts prices that include all applicable taxes to changes in Canadian taxes and the Chancellery Exchange Rate applied to the Canadian dollar by France’s Direction des Finances Publiques. SPM Ferries is not liable for route and/or schedule changes, rerouting, service interruptions and especially cancellations or delays in performance of the contract of carriage, consequences of non-performance of the contract of carriage that may be caused by damage, adverse weather conditions, civil or foreign wars, total or partial strikes by coalitions of employers, workers, officers and seamen or any employees whatsoever, whether or not in the service of SPM Ferries. SPM Ferries declines all liability for the consequences of these irregularities, interruptions, or service suspensions. Passengers remain liable for the costs and risks of lodging, consequences incurred and damages resulting from these events. Any schedule change or cancellation of departure that may result from events beyond the Carrier’s control (Act of God, random, or other) shall result in cancellation of the contract without compensation to either party. Users or shippers must be in possession of a valid document of carriage to board. Holders of subscription cards must be in possession of their personal subscription card, where applicable. A corporate or multi-user card may only be used by the user registered for the passage. Failure to produce a subscription document will deny boarding of the vessel. Passengers travelling on a reduced fare must present a supporting or other document on request, when purchasing tickets and when boarding the vessel. If a delay is incurred for compliance with the fare or failure to produce supporting documents and prevents the passenger in question from boarding prior to the departure time, no action may be taken against SPM Ferries. The document of carriage is free for children under two years of age, but they still must be in possession of a ticket, to permit counting of passengers at time of boarding. If a passenger fails to produce a ticket or subscription card but his reservation has in fact been registered, the passenger may board provided his boarding will not delay departure. Otherwise, no action may be taken against SPM Ferries. The tariff structure and terms of sale for marine services are voted by members of the Territorial Council of Saint-Pierre and Miquelon. Passengers are informed of these by postings in ticket offices and on the SPM Ferries website. They may be conveyed to anyone in writing, by email, telephone, or other means. SPM Ferries service provides the option, in ticket offices only, to reserve the document of carriage on its ships without payment. Unpaid reservations may not be made on the www.spm-ferries.fr website. Unpaid reservations are automatically cancelled, however, 48 hours prior to departure of the vessel. Payment of passage is recommended at time of reservation to avoid cancellation when this time limit has lapsed. Price of passage must be paid in full prior to travel. Documents of carriage may be purchased via Internet on the www.spm-ferries.fr website, by telephone, and in the various ticket offices in the Archipelago of Saint-Pierre and Miquelon, and in Newfoundland. Payments are transacted in Euros via the usual payment methods: cash, cheque, bank card, remote sale (VAD), or transfer. Note that if purchasing passage at the Newfoundland ticket office, passengers are requested to pay for their document of carriage in Canadian dollars. To avoid any delay at ticket offices, passengers are strongly advised to purchase their document of carriage via the www.spm-ferries.fr website. Ticket offices close 15 minutes prior to each national departure in Saint-Pierre, Miquelon, and Langlade (depending on ticket office hours). For international departures, ticket offices close 30 minutes prior to departure. No sales will be made after that time. Documents of carriage (tickets or subscription cards) are valid for one year from date of issue. Subscription cards, however, may be reloaded subject to available offers. If the card is reloaded before the one-year period has expired, unused passages are carried forward and the validity period starts from the reload date. For the Miquelon/Fortune crossings via Saint-Pierre in the low season, when there is no direct Miquelon/Fortune service, users are granted free inter-island travel when making a reservation that includes the inter-island segment in their continuous passage. The same applies to their vehicle and/or other rolling stock included in their travel reservation. If a sailing between Saint-Pierre and Miquelon is cancelled, users will be given the option of using their free document of carriage on the Miquelon/Saint-Pierre segment via Langlade when travelling without a vehicle. Pre- and post-forwarding is possible but incurs a charge to users. Passengers must check their documents of carriage issued and change tendered at ticket offices before leaving the ticket window. No subsequent claims for ticketing errors or incorrect change will be accepted. In the event of loss or theft or any other similar occurrence, tickets may not be reprinted, but if a user makes a reservation and he appears on the pre-boarding manifest, he may board if he does not delay the departure time. In the event of loss or theft or any other similar occurrence involving an open ticket, the ticket is lost because it does not appear on any pre-boarding document. The user must purchase a new ticket. A subscription card, however, may be reprinted in the Saint-Pierre ticket office based on the tariff in effect (unused passages will be carried forward). To be valid, changes or cancellations must be made during business hours at ticket offices or by telephone or email. Ticket changes are conditional on availability and subject to a service charge for changed passage under the following conditions. The service charge for changes is 25 percent of the ticket price, while change of a subscription card incurs a flat fee based on the tariff in effect. The document of carriage is valid for one year and users may request as many changes as they wish during the document’s validity period. There is no service charge when the change request is the result of cancellation or postponement of a sailing attributable to SPM Ferries. At time of sale, an open ticket does not specify the travel dates, but this date may be entered on the document free of charge for return travel. Any other change incurs a fee of 25 percent of the ticket price. Ticket cancellation is subject to a service change for each cancelled crossing, under the following terms. Up to the day before departure, the cancellation service charge is 25 percent of the purchase price of the document of carriage. On the day of departure, the service charge for cancellation is 50 percent of the purchase price of the document of carriage. On the day following the departure, no refund is possible. There is no cancellation service charge where cancellation results from postponement or cancellation of a sailing attributable to SPM Ferries. At the user’s request, SPM Ferries may refund the full price of the document of carriage when travel has not begun and within 48 hours following the planned departure time. A subscription card is refundable during the validity period if no subscribed passage has been used. Passengers are subject to discipline on board under the authority of the ship’s master. Passengers therefore must obey all regulations and appropriate instructions issued or given by SPM Ferries for boarding or disembarking. Through its personnel, especially the ship’s master, SPM Ferries may deny permission to board a vessel for a passenger whose attitude or behaviour would be incompatible with respect for the safety of other users or the vessel or would be likely to disrupt public order. SPM Ferries will issue no ticket refund or exchange in this case. Users must not disturb the peace of other passengers and SPM Ferries personnel by singing, aggressive utterances, and use of musical instruments of sound devices aboard vessels and on the boarding gangways. Intoxicated passengers will be denied boarding and consumption of alcohol or drugs on board is prohibited. SPM Ferries may deny boarding to a person requiring assistance and travelling alone, whose safety cannot be fully guaranteed without a personal and/or qualified attendant. Smoking is prohibited aboard vessels, including on outdoor decks. The driver of a vehicle boarding the vessel waives all boarding priority if he arrives for boarding after the cut-off time (60 minutes prior to departure for a vehicle and 30 minutes for passengers) and waives any claim against SPM Ferries on these grounds. Vehicle drivers must proceed to boarding and disembarkation of their vehicle. Any interruption of boarding and disembarking by a vehicle whose driver is absent, which delays the vessel, incurs the liability of the driver or owner of the vehicle in question for all consequences of this delay. Users are responsible for their vehicle and must read and comply with the regulations applicable in destination ports. SPM Ferries may not be held liable for denial of access by authorities at the destination port. Users may not claim any refund of their tickets. Children under 14 years old must travel under the supervision and responsibility of their parents or another responsible adult. Under no circumstances will SPM Ferries carry unaccompanied children under 14 years of age. Therefore, at the embarkation checkpoint, children must be accompanied by the person responsible for them during the crossing. In addition, pursuant to the legislation in force, any minor not accompanied by a parent or legal guardian must travel with an authorization permit to exit the territory. The authorization form can be downloaded from the “Travel Document” tab on the SPM Ferries website and from official government websites. Persons with disabilities must be able to travel by ship as easily as others. SPM Ferries cannot carry persons with reduced mobility on the M.V. Jeune France, which is exempt from this legal obligation, because this vessel is unable to carry such persons for safety reasons and their inability to board and disembark due to the vessel’s design and the port infrastructure and facilities, which cannot accommodate adapted transportation. Persons with disabilities who hold a document of carriage on the M.V. Jeune France and who have informed the carrier of their special needs will be offered a refund of their ticket. Persons with disabilities may be entitled to free assistance for boarding and disembarking from the vessel, while aboard, and in port. To obtain this assistance, passengers are requested to contact SPM Ferries at least 48 hours prior to departure to explain the type of assistance they require, and to arrive at the agreed time before the published embarking time, at the designated place. Without this advance notice, SPM Ferries will make every reasonable effort to help you board, disembark and move about on board the vessel. Similarly, if you have specific needs for seating or assistance or must bring medical equipment with you, please provide notice 48 hours prior to departure. Domestic animals travel under the responsibility of their owner, who must take out a suitable insurance policy. The owner must take all measures to avoid any incident. SPM Ferries declines all liability in the event of damage, especially injury or death, caused to the animal carried. Dogs in categories 1 and 2 must be muzzled and kept on a leash until placed in an approved cage by their owner. Cats or small pets must travel in an approved individual cage. SPM Ferries, through its personnel, especially the ship’s master, may deny access to board a vessel for an animal that might pose a risk to users. No ticket refund or exchange will be granted. Any admission of an animal aboard under no circumstances relieves the user in charge of the animal of liability in the event of an attack or damage of any kind caused by this animal. Animals are not allowed in the cabin except service dogs, which must be declared when reserving the document of carriage. Animals travelling unaccompanied are considered cargo. Vessels can only accommodate a limited number of pet carriers, so space must be reserved to guarantee carriage of your pet. On international crossings, pets’ vaccinations must be up to date and SPM Ferries cannot be held liable for denied admittance of animals into the destination territory. Users must obtain information in advance from the proper authorities. Any damage caused to the vessel, facilities, other persons or third parties by a user or persons or animals under his custody will be the sole and full liability of that user, who must compensate all damages suffered, and any other damage and interest that might be claimed by SPM Ferries or third parties affected. SPM Ferries’ liability for damages suffered by users or their property during boarding and disembarking operations or during crossings may be sought only within the limits and terms stipulated by French legislation and decrees governing marine carriage (Law No. 66-420 of June 18, 1966, as amended, and its implementing orders). Carriage of dangerous goods on passenger vessels is strictly regulated and must be declared to SPM Ferries. This specifically applies to carriage of hydrocarbons, gas, or any inflammable or explosive substance listed in the International Maritime Dangerous Goods Code (IMDG) published by the International Maritime Organization (IMO), specified in national legislation or the regulations application to SPM Ferries. Any passenger who, without the knowledge of SPM Ferries, has carried dangerous and prohibited goods onto the ship may be subject to legal action, without prejudice to all other damages or penalties stipulated by French law. The Special Terms for carriage of goods stipulate restrictive conditions for the carriage of dangerous goods. SPM Ferries offers cargo service for unaccompanied parcels or baggage on the Saint-Pierre/Miquelon and Saint-Pierre/Langlade crossings. Not exceed 200 cm X 100 cm X 70 cm in size and 40 kg in weight on the Miquelon crossing. Parcels are under the sender’s responsibility until received by SPM Ferries personnel and under the recipient’s responsibility once received by him. SPM Ferries’ liability may only be claimed for damage occurring to parcels during the crossing, or due to proven fault or negligence of SPM Ferries or its personnel. SPM Ferries’ liability may not be sought if the source of the damage was missing or defective packaging. Carriage of vehicles takes priority and SPM Ferries reserves the right to limit carriage of small cargo to the restrictions of space available on board. If a parcel consigned to SPM Ferries is not claimed at the arrival port, SPM Ferries may store the said parcel in an appropriate location until it is claimed. SPM Ferries may not be held liable for loss or damage of stored parcels. SPM Ferries may dispose of any perishable parcel. Parcels may be picked up during business hours of the operations and/or small cargo service. Each user may carry personal baggage free of charge up to a limit of 23 kg per person and hand baggage not exceeding 10 kg, with no transfer of allowance between passengers. Excess baggage is charged at the supplemental baggage rate. Baggage means any item carried except live animals or bulky or oversized goods. Baggage must be tagged and identified with the owner’s name and address. SPM Ferries will not be held liable for loss, damage of any nature, or costs resulting from non-compliance with this rule by the user. SPM Ferries reserves the right to decline baggage incorrectly prepared or visibly damaged. Passengers are responsible for on-board stowing of their hand baggage and baggage on carts provided for this purpose, removing baggage they have brought, and must also ensure that their hand baggage does not obstruct emergency passageways. Baggage and personal effects remain under the custody and surveillance of passengers for those items brought into passenger lounges during the crossing. SPM Ferries therefore declines all liability in the event of theft, disappearance, loss of or damage to baggage or personal effects. Checked baggage is stowed in closed carts secured on the deck and is not accessible during the crossing. Similarly, SPM Ferries is not liable for loss, damage of any kind, or costs linked to baggage or other personal property (other than baggage checked with SPM Ferries and not claimed) left on its premises, in baggage carts, or on its vessels. Baggage must not contain inflammable, explosive, or corrosive materials, loaded or unloaded firearms, or any other items that might pose a risk to users, SPM Ferries personnel, and third parties. Hunting weapons must travel in their case and must be unloaded, to ensure optimal safety during handling for boarding and disembarking. They must be declared and entrusted to on-board personnel at time of boarding, for storage in a locked compartment during the crossing. (ISPS Code). SPM Ferries reserves the right to check the carrying bag of a weapon at any time. Carriage of bicycles is charged at the tariff in effect. The vessel can carry a specified number of bicycles on each crossing. Passengers wishing to travel with a bicycle must notify a ticketing officer. SPM Ferries reserves the right to authorize or deny carriage on a specific crossing depending on space available. During business hours, the Saint-Pierre ticket office provides left-luggage service for all SPM Ferries users, subject to the following terms. Users must present their ticket to the SPM Ferries agent to verify that they are on the passenger list for the departure from Saint-Pierre. Baggage must be personal, identified, and locked. Left-luggage service is available to users on the day of departure from Saint-Pierre until the closing time of the Saint-Pierre ticket office. Hand baggage may not be checked. Users must also ensure that their baggage consigned to SPM Ferries does not contain high-value items (passport, bank card, jewelry, etc. ), for which the company declines all liability. Users remain responsible for their baggage and its contents. SPM Ferries ensures that measures are taken to protect and secure the storage space but declines all liability in the event of theft, burglary, forgotten or damaged baggage. The obligations of SPM Ferries and the user’s rights in the event of interruption and delay of travel are stipulated by European Regulation (EU) No. 1177/2010. A summary of these rights and this obligation is available in our ticket offices and on our website. SPM Ferries is not liable for damages or loss suffered by vehicles during boarding and disembarking operations. Similarly, SPM Ferries is not liable for items and baggage left in vehicles. Users are responsible for confirming with their insurance company that their policy covers marine carriage of their vehicle. SPM Ferries may not be held liable beyond its carrier’s liability where this applies. The ship’s master is allowed to tow or provide assistance to other vessels in all situations, change course, and effect all rescue or transshipment operations. Users waive all claims in this respect. 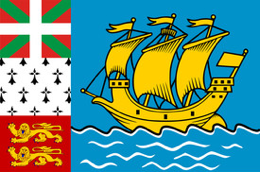 Any dispute arising from application of these general terms of carriage shall fall within the jurisdiction of the courts of Saint-Pierre and Miquelon. Only French law applies. As stipulated by section L5121 of France’s transportation code, the limits on liability applicable to carriers for damage occurring on board a vessel or directly related to navigation or use of a vessel, are those established by the Convention on Limitation of Liability for Marine Claims, 1976, signed in London on November 19, 1976, as amended. In respect of damages to persons and their property as well as to cargo, SPM Ferries’ liability for damages suffered during boarding and disembarking operations or during a crossing may only be sought within the limits and terms stipulated in the applicable texts. SPM Ferries, in its capacity as Marine Carrier, is entitled to avail itself of the exonerations of liability stipulated by international or domestic standards in force. These texts are available on request. This Territorial operating regulation takes effect on May 1, 2018, and repeals the regulation previously in force up to that date.